Remember my quilting friend Jamie? 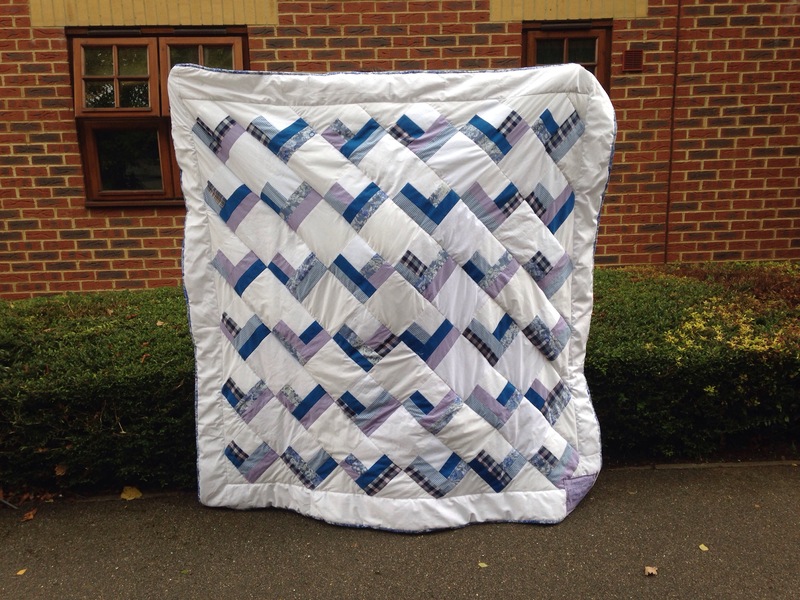 As we both sew and learnt how to quilt together we thought it would be a lovely idea to make this quilt together. We settled on a square heart shaped design, bought the fabric and then forgot all about it for 6 months until the week before the wedding. 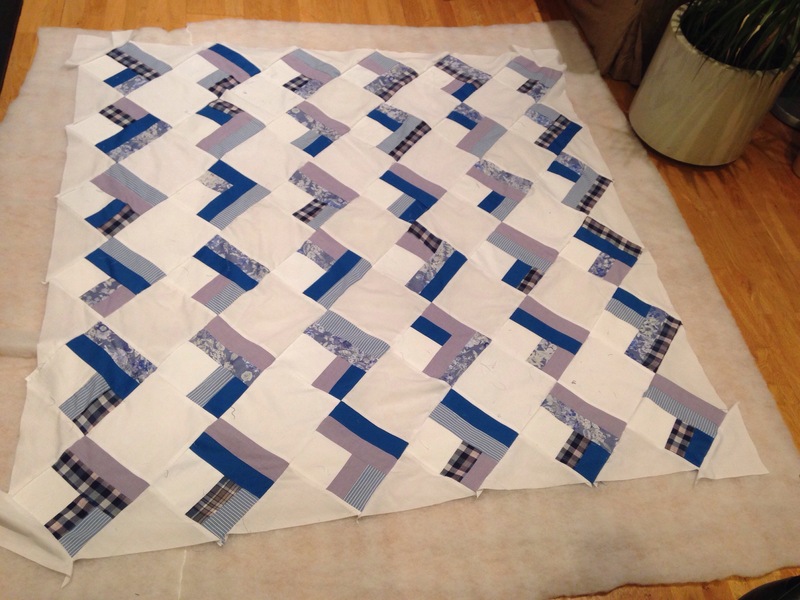 After spending most of the week putting the quilt together, the morning of the wedding came along and I still hadn’t finished it. I was still trying to make and put the binding on in a mad rush (I was seriously wishing at this point I had one of those Simplicity binding machines). We jumped in the car, got stuck in traffic on the M25 as I manically hand stitched the binding in the car, before rushing into the hotel with 5 minutes to change into our wedding gear before rushing out again and getting to the Church with 5 minutes to spare. After the wedding ceremony and before the drinks do, we parked down the street to finish cutting off all stray threads and wrap it up nicely and to take a quick photo. 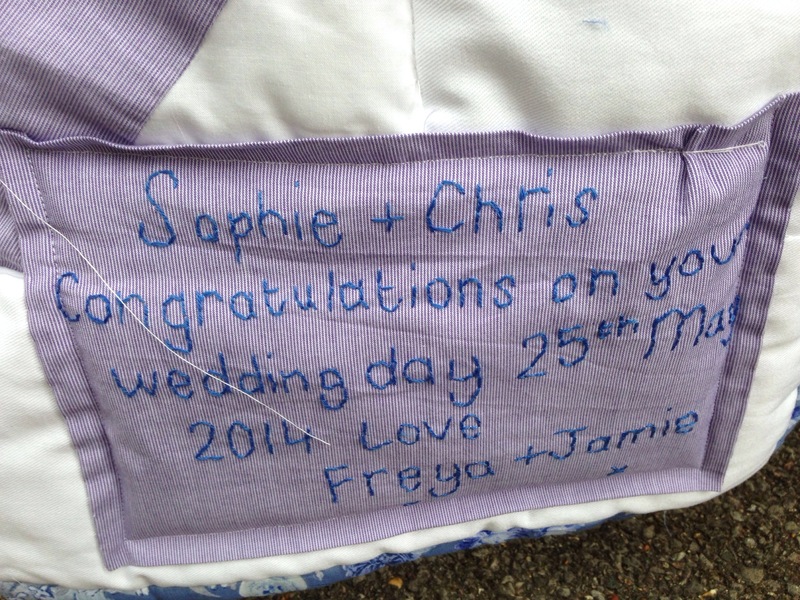 Jamie embroidered this cute little quilt label – (pre-thread snipping picture). This was a wedding blessing that we went to not the actual wedding as that was earlier in the year. After all that, I am in no hurry to repeat that again….. 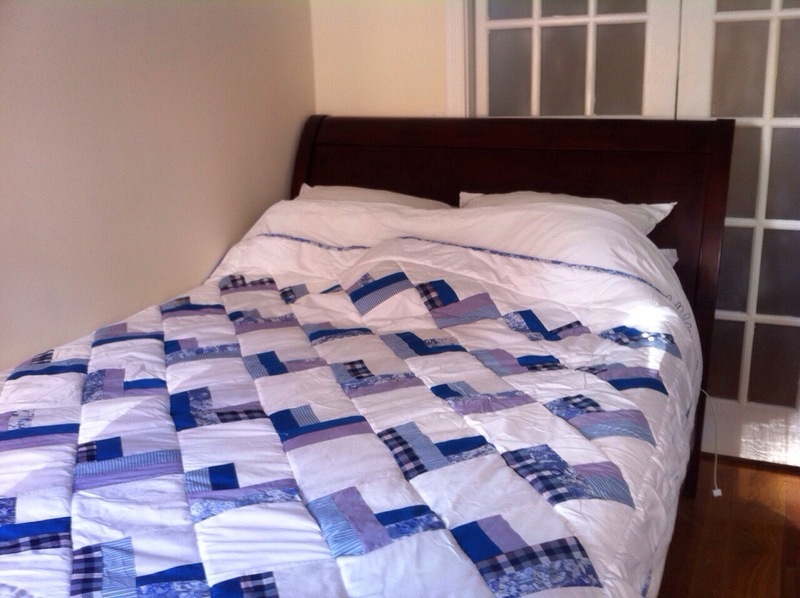 However, the happy couple seem to love it and took a picture of their new quilt on their bed.